I bought this lipstick AGES ago (in my first Cherry Culture order) but have only used it recently as I’m feeling a bit braver with coloured lips. I’m loving the colour of this lippie and the texture is seriously impressive – especially for the bargain price. The lippie applies really easily and feels really creamy. 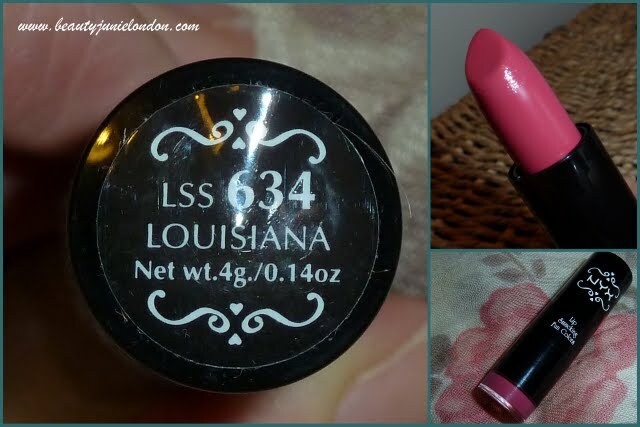 It doesn’t feel drying at all – something that can often be the case with cheaper lipsticks. It’s gorgeously pigmented and I just love the bright pink shade. Am I the only one who has a tendency to buy products just for the name…??? Nope 🙂 I recently bought whole bunch of tester eye shadows for the names alone 🙂 Can’t wait for them to get to me! I buy NYC products because I like the quality for the cheap price but also because they NYC written on them (I lived there for a while). Tried the Extreme eyeliners and was also very impressed with the colors and the staying powder. Got them in purple and navy. 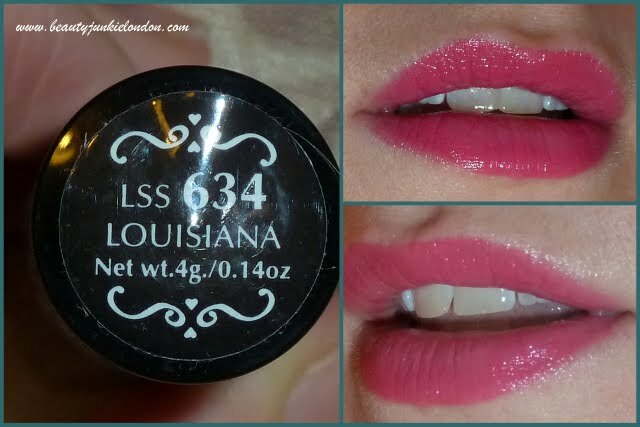 The Sleek lip gloss in pink cadillac would go great on top of your louisiana lipstick. Almost the exact same shade!